Happy New Year - First Blog Hop of 2018! Welcome and Happy New Year! To kick off 2018, we have 15 new stamps to celebrate the year's beginning, along with a hop to inspire you. If you came here from Lynda's blog, you are in the right place. If this is your first stop, I encourage you to start over on the Design Team Blog to see all of the new stamps, and the inspiration from our fabulous design team. 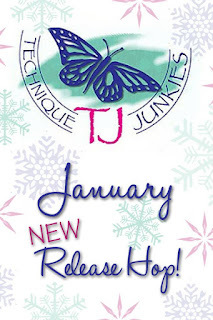 As usual, all of the stamps in the January New Release Category http://techniquejunkies.com/january-2018/ are 15% off through January 8th. Simply add things to your shopping cart from that category and those stamps will automatically be 15% off at checkout. If you want things that are not in the new stampshttp://techniquejunkies.com/january-2018/, you can get 10% off those - simply grab a 10% discount code from one of the designers if you are interested in buying anything else and you can take 10% off that, too! 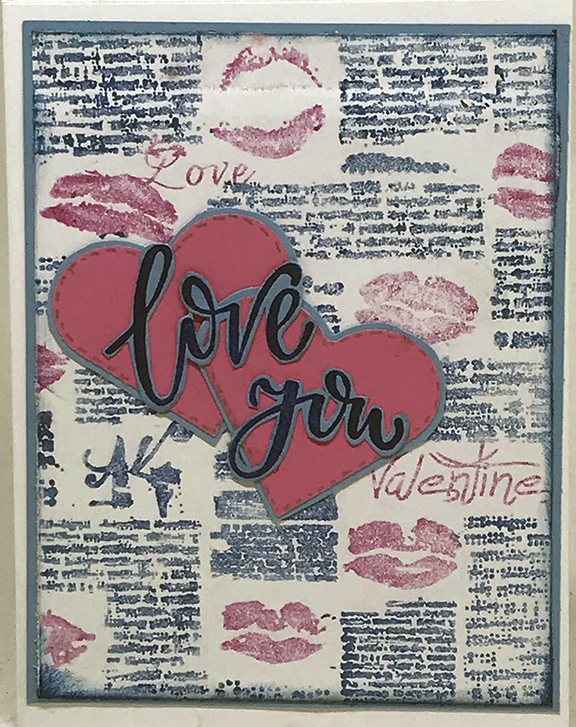 This first card uses the Valentine Love background stamp. I stamped the image in Dark Brown Chalk Ink, then I stamped it again on a separate piece of paper with Lipstick Red Chalk Ink. 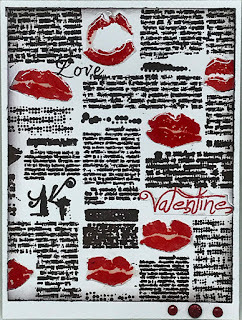 Then I cut out the lips and the "Valentine", and adhered them directly over the brown areas. To make them really shine, I went over each of the red areas with Judikins Dimensional Glaze (some companies call this Crystal Effects, Glossy Effects, or Glass Glaze). Everything was layered onto white and I just added three glittering red brads at the bottom. 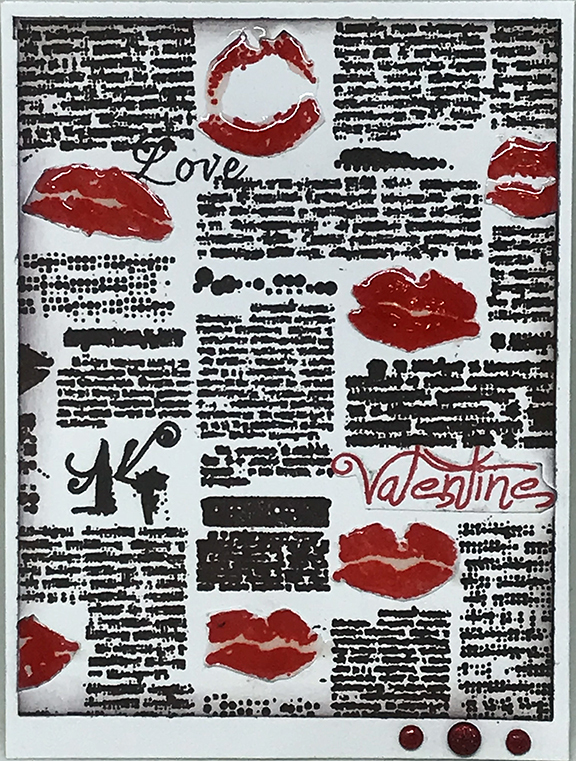 My second piece uses The Kiss, along with the You are Loved sentiment. Both were stamped in Dark Brown Chalk Ink and colored with Chameleon Duotone Colored Pencils. The background is designer paper. 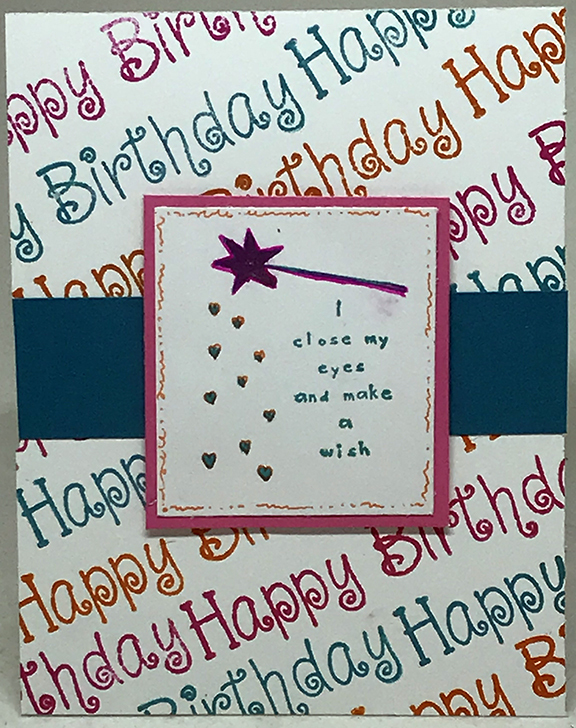 This piece uses the Make a Wish stamp as a focal image. I stamped it in blue ink, then went back over some of the stamped image with markers. 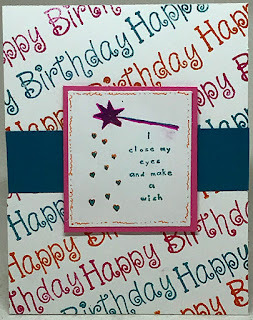 The background is the Donuts Happy Birthday stamp that was stamped repeatedly in pink, turquoise and orange. If you went through the hop, you might notice that this Happy Birthday stamp coordinates perfectly with the Birthdays and Donuts stamp. I meant for it to go on the inside of the card. I think it works pretty well here, too. 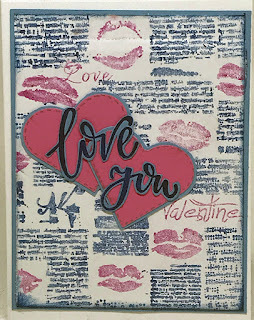 Finally, this piece uses the Valentine Love stamp as a background, with the Love You words from the Love You More set. 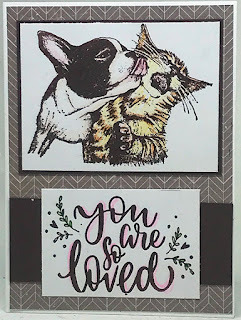 To make the background, I used the Nuvo Glitter Markers to color the words and Lips in different colors. For the Love You sentiment, I stamped it n blue on a piece of light blue paper then cut around the words before I layered them onto the pink hearts (from a punch). It really wasn't as much work as you would think to cut out the words, and I love the effect! Okay, so this is the end of the hop. Now is a great time to shop - I hope you were inspired by everything you saw today!